Normally the yelling, screaming and bad blood surrounding literary prizes starts after the winner is announced, when civilised discussions around who won and why may become a little heated. For the UK based Poetry Book Society’s ‘2011 T. S. Eliot Prize for Poetry’ the drama has begun well and truly before the winner is announced – and the turmoil appears to be spreading. The T S Eliot Prize for Poetry was inaugurated in 1993 to celebrate the Poetry Book Society’s 40th birthday and to honour Eliot as the Society’s founder. All shortlisted poets receive £1,000 and the winner £15,000 and the prize is awarded to “to the author of the best new collection of poetry published in the UK and Ireland each year.” The fact that eligibility is based on publication and not the poet’s nationality means that poets from outside the UK are eligible as long as their collection was published in the UK or Ireland – hence John Kinsella was on this year’s short list for Armour published by Picador and the 1996 winner was Les Murray for Subhuman Redneck Poems. While the prize money itself is funded by Eliiot’s widow ,Valerie, and the T. S. Eliot estate, the administration costs of the prize are met by the Poetry Book Society. Unfortunately for the Society, along with many other arts bodies in the UK, it has had its Arts Council funding slashed from the end of this year. The trouble for the T. S. Eliot Prize for Poetry began in October when the Society announced it had secured a ‘substantial’ three year sponsorship deal with Aurum Funds Management. On its website Aurum describes itself as “a specialist asset manager that emphasises stable, long-term investment performance” – in short they are a hedge funds manager. Unfortunately for the Prize, not all short listed poets where happy with the Society’s choice of Sponsor and on 6 December British poet Alice Oswald dropped a bombshell by withdrawing her nominated collection Memorial from the short list saying “I’m uncomfortable about the fact that Aurum Funds, an investment company which exclusively manages funds of hedge funds, is sponsoring the administration of the Eliot Prize; I think poetry should be questioning not endorsing such institutions and for that reason I’m withdrawing from the Eliot shortlist.” What made this more uncomfortable for the Society was that Oswald was a previous winner of the award in 2002. 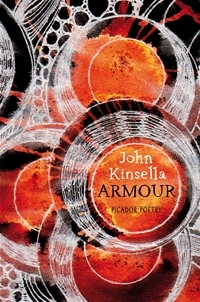 While poets John Burnside, Carol Ann Duffy, Leontia Flynn, David Harsent, Esther Morgan, Daljit Nagra, Sean O’Brien and Bernard O’Donoghue still remain on the shortlist, I would imagine that prize organisers are anxiously waiting and checking the backgrounds of the remaining poets for an indication that they may jump ship as well. While the immediate crisis is obviously throwing a cloud over the 2011 T S Eliot prize there is a larger issue here concerning the ethics of accepting ‘sponsorship’ from corporations whose activities some may find ‘questionable. These dilemmas are set to increase as governments around the world slash arts funding in the face of what could be a second round of a Global Financial Crisis caused by, many believe, the very corporations arts organisations will be forced to approach, cap in hand to replace their lost government funding. I just wonder what an old ex-banker like T.S. Eliot would have made of it all….